I wasn't able o put SATORI down. What's so terrific about this novel is how Don Winslow is able to capture Trevanian's style and characters while imbuing the novel with his own action and narrative. SATORI is at once physical and contemplative, imbued with Eastern philosophy and martial arts. It's about war, and it's about salvation. I shouldn't be surprised at the depth of this novel. Don Winslow is an incredibly versatile writer. I thought his last novel, Savages, was fabulous, and had it on my top 10 for 2010. Mystery Readers International, NorCal chapter, was lucky enough to host Don Winslow at a Literary Salon last Spring. He's as impressive in person as he is on the page! So I asked Don to write something for Mystery Fanfare about the writing process.. how do you get inside the skin of another writer and his characters. A couple of years ago now, I got an e-mail asking if I’d like to be Trevanian. While we’re at it, I’d like to be James Bond, too. Or Brad Pitt or Tom Brady or Conan O’Brien, but that ain’t gonna happen either. Then they got more specific and inquired if I’d be interested in writing a prequel to Trevanian’s iconic thriller, Shibumi, featuring one of the greatest characters in the genre, Nicholai Hel. The prospect of ‘taking up’ a character like Nicholai Hel was intriguing. I re-read Shibumi several times and felt that I had a pretty good understanding of the character. Here was a Westerner who was raised in Asia and had absorbed that culture into his being. I’d had similar experiences, although not as intensely. But I thought that I could ‘meet’ Hel on that level. I’m decently well-read on Asian history, especially in the twentieth century, so I thought I could meet him there as well. Hel was a martial arts expert. I am clumsy, uncoordinated, and have been told by friends that I walk like a broken duck, but I have studied the ‘arts’ for decades. I thought I could meet him there. The real challenge would be Trevanian himself. His voice is so strong, unique, sui generis. I know it would be both impossible and undesirable to try to ‘do’ him. An attempt at imitation could only lapse into bad parody, and I didn’t want to even risk an insult like that to a writer I greatly admire. In my own interest, I didn’t want to come across like a fool or a buffoon. I had to walk a narrow path – respect Trevanian’s style and substance while giving it my own voice. ‘Becoming’ Trevanian was a matter of ‘becoming’ Nicholai Hel. It’s what we had in common, it was at the point of the character that I could meet Trevanian and merge my voice into his. I found that as long as I viewed the world through Nicholai’s eyes, I could see the world through Trevanian’s, and the voice would follow. I’m not saying that this was easy. Trevanian had a very specific world view, with which he endowed Nicholai. Iconoclastic, elitist, torn between his Western roots and his Asian upbringing, Nicholai could often be self-contradictory. But contradictions make for interesting fiction, no? Here was an honorable man caught in a dishonorable situation. A deeply human person who accepts a mission to kill other humans. A man who, in fact, must kill to save his own life. The key in writing him was (as in all fiction) to focus on what Nicholai wanted. To keep, as it were, our mutual eye on the prize. He wanted his freedom, but to be truly free he had to achieve satori. He had to see life as it really is. When we meet Nicholai in the ‘real-time’ sections of Shibumi, he’s his adult self, a fully-realized man who knows who he is and sees life for what it is. Not so with the Nicholai I picked up in Satori. Now he is in his mid-twenties, and has just emerged from three years of solitary confinement. He literally doesn’t know the world – it is strange and new to him. He is unused to the company of other people, much less the love of a woman. Nor is he the accomplished assassin we meet in Shibumi. He has only killed one man – his father-figure. He isn’t close to being a master spy – the world of espionage is unknown to him. He has to be taught, he has to learn. Some of these lessons come from other people – his French tutor Solange, his CIA handler Haverford, the Buddhist monk Xue Xin. But many of them are self taught, as Nicholai is famously an auto-didact. (He taught himself Basque – Basque – in prison.) He needs to discover things for himself, to place them in his own context, often in the form of a Go board. And always, he uses these lessons to strive for satori. This was the road map through what otherwise might have been a jungle. When lost – as I often was – I reminded myself of what Nicholai wanted, and then I tried to see the goal through Nicholai’s eyes. How would he respond to challenges, to obstacles? What would he learn that would help him on his way? How would he see those lessons, and how would he use them? Most importantly, how would Nicholai uniquely react to situations, in a way that no one else would? If I’ve made this seem like a chore, I didn’t mean to. It was tremendous fun. How could you spend time with a person like Nicholai Hel and not have a great time? I felt like I’d been given a gift, and every day was Christmas morning. If you get up knowing that you get to work on Satori, you know you’re going to have a good day. Look, I don’t think that I ever became Trevanian. But I do hope that I did the man proud. The nice thing about walking in larger footsteps is that you can put your foot inside them without messing up the imprint itself. So if you look down this particular stretch of beach, you’ll see one set of footprints –with mine inside them. 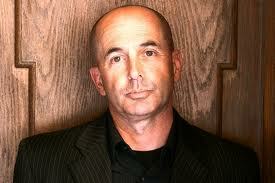 DON WINSLOW was born in New York City but raised in South Kingstown, Rhode Island. 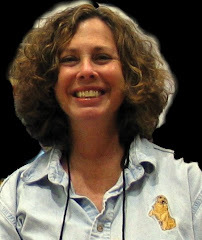 His books include The Power of the Dog, The Life and Death of Bobby Z, and Savages. In addition to his writing, Don has been an actor, director, movie theater manager, safari guide and private investigator. He lives in the San Diego area with his wife, Jean, and son, Thomas. Visit his Web site www.donwinslow.com. TREVANIAN is the pseudonym under which Rodney Whitaker (1931-2005) wrote popular fiction in a number of genres. He worked as a shoe-shine boy, a crop-picker, and a carnie before serving as a naval teacher in the Korean War. After the war he went into theatre as an actor, playwright and director, and became a leading academic in the field of communications. With the instant success of his first novel, The Eiger Sanction, he turned to writing full time. He moved to the Basque mountains, where he wrote Shibumi, creating one of the thriller genre's best-loved characters, Nicholai Hel. Among his novels are a Western, Incident at Twenty-Mile, and a semi-autobiographical novel, The Crazyladies of Pearl Street. Satori was pretty good too. I would like to see the Jonathan Hemlock character in print in a third book. Don Winslow's SATORI has been described in a number of corners (including one occupied by the author himself) as a prequel to SHIBUMI, the much beloved espionage novel by Trevanian. Following its publication in 1979, many readers clamored for a sequel from Rodney Whitaker, the man behind the Trevanian pen name. None was forthcoming, and Whitaker's passing in 2005 appeared to close the door on any such possibility. SATORI is far from a sequel, and I wouldn't call it a "prequel" either. It would fit nicely within the boundaries of SHIBUMI as a flashback, given that it focuses on some of the hidden years of Nicholai Hel, the mystic and assassin who has captivated audiences for three decades. SATORI deals with the period of Hel's life from his imprisonment for the murder and liberation of his mentor to his initial revenge through his escape from Southeast Asia in the early 1950s.